When people mention Walla Walla Valley wine, it’s often Washington that comes to mind. But on Oregon’s side, a unique wine scene thrives in Milton-Freewater. The area also boasts a compact (5.9 square miles), unique AVA (American Viticultural Area) of its own, The Rocks District. Named for its basalt cobblestones deposited over hundreds of years by the Walla Walla River, the relatively new appellation is home to world-class Syrah, Cabernet Sauvignon and Grenache. Less familiar are the three craft creameries near Milton-Freewater, all new within the last five years, making the perfect accompaniment to the wines and ciders — apple orchards still flourish — of the truly culinary region. Watermill Winery, established in 2005 by the Brown Family who farmed apples in the region for three generations, stands in the center of town. The Browns renovated its large production facility, a historic 1944 pea processing plant, because of the building’s natural assets of thick concrete walls and high ceilings. The winery owns numerous vineyards in four AVAs with half their grapes grown in Oregon and the other half in Washington. Watermill Estate Vineyard, planted on 13.25 acres in The Rocks District in 2006, includes Syrah, Petit Verdot, Cabernet Franc and Merlot. Hedges joined the winery in 2017 when the Browns partnered with the Foreman and Kleinman families, commercial apple growers from Wenatchee. He grew up in the wine industry, working the business side in both California and the Willamette Valley. “We need to focus on the varieties we do best,” says Hedges. “We have 12 different varietals fermenting today, and, eventually, we’ll have 20.” The winery’s Cabernet Sauvignon has been the most popular. Watermill’s annual production for the 2018 vintage numbered 6,500 cases with an additional 12,000 cases of custom crush for other wineries. Roskelley and his wife considered a small winery for their retirement over an Italian dinner with their friend. He wanted to join their endeavor. So, they purchased the vineyard in 2007. The original site had been divided; the portion they acquired was Windrow Vineyard with 21.5 acres planted, which they’ve increased to 25. The couple first built a production facility on the property in 2008, followed by a house where they lived until recently — they grew tired of being available for wine business 24/7. 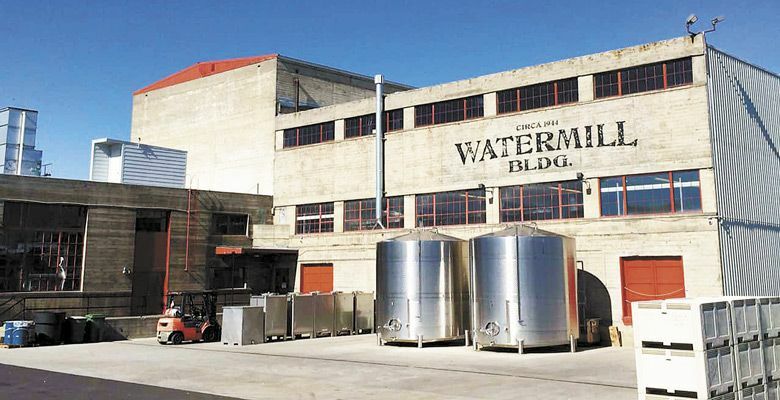 Since then, the partners have purchased other Walla Walla wineries — Waters, Flying Trout and 21 Grams — adding different styles to the portfolio. While the vineyard and overarching corporation, TR Wines, is located in Oregon, they have wineries and tasting rooms in both states. The original varieties planted at Windrow include Cabernet Sauvignon, Merlot, Cabernet Franc and Malbec. They’ve since added Petite Verdot, Nebbiolo, Sangiovese, Petite Syrah and Charbono, a lost red grape variety Roskelley located in California and returned to Oregon with nursery-certified cuttings. Many well-known wineries in the area buy Windrow fruit; TERO uses about 40 percent. TR Wines’ annual production consists of Waters at 3,000 cases; TERO, 1,600 cases; Flying Trout, 800 cases; and 21 Grams, 120 cases. “We’re looking to grow our presence in markets outside of the Northwest and eventually plan to have 10,000 cases overall,” says Roskelley. Family-owned Zerba Cellars was started in 2001 by Cecil and Marilyn Zerba, after running a successful nursery business for 20 years. 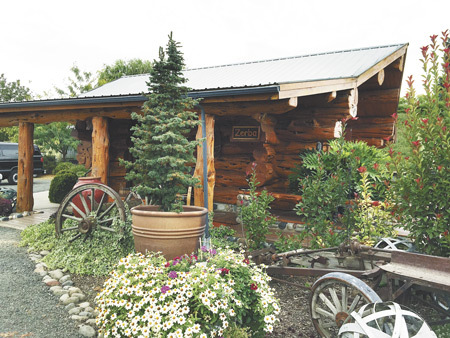 Cecil’s family homesteaded in the area in the 1800s, reflected in the tasting room, a Western Juniper log cabin right off the main north/south highway through Milton-Freewater. They also operate tasting rooms in Dundee, as well as Woodinville, Washington. The cabin and surrounding vines sit where Cecil grew up, thus the name Dad’s Vineyard; the Zerbas planted 10 different grape varieties on 3.28 acres. Their other vineyards include: Winesap Road Vineyard in The Rocks District, 12 acres of Merlot, Cabernet Sauvignon and Syrah, and Cockburn Ranch, their largest vineyard of 70 planted acres in the Walla Walla Valley. Zerba Cellars produces about 7,500 cases a year with an amazing variety of more than 30 different types. Manager Courtney Neufeld says, “We’re known for our big bold reds.” Yet, they’re one of the few in the area with white wines such as Semillon, Riesling and Roussanne. While they source grapes from several vineyards, the Syrah 2014 is the first 100-percent estate wine from The Rocks District. Winemaker Brett Roberts, along with several assistants, now produce their wines at Watermill. 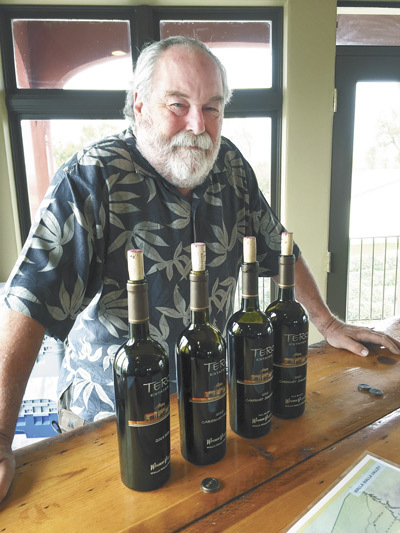 Specializing in Spanish-style wines, Sam and Deb Castillo of Castillo de Feliciana Vineyard & Winery bought their 66-acre property in 2007 and planted seven acres in grapes. 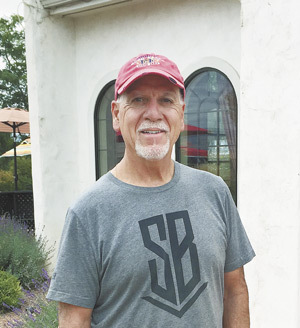 Sam, a retired dentist, turned his winemaking hobby into a business, naming it after his wife’s family, originally from the Castille de Leon region in Spain. Son Chris took over as winemaker in 2010 after studying enology and viticulture at Western Washington. Daughter Kara manages the Woodinville tasting room and wine club. Currently, Castillo de Feliciana produces about 3,000 cases. Sam says, “We plan to remain boutique in size and might go up to 5,000 cases, depending on sales.” The bulk of their wine is sold in the two tasting rooms. Brent and Yvonne Carroll founded Umapine Creamery, just outside Milton-Freewater in Umapine, in 2014 — it became the catalyst for the other two neighboring creameries. Once the Carrolls retired from education — he was an ag teacher; she, a school nurse — they sold their herd of dairy cattle to their son, who lives with his family on a farm across the street. Yvonne decided to experiment with cheesemaking at home. She eventually graduated to classes at Oregon State University. She also studied numerous resource books, watched how-to videos from “Ricki the Cheese Queen,” and worked alongside another woman cheesemaker. She now has it down pat. With Yvonne in the kitchen, Brent markets and packages their cheese, selling at specialty grocers, including Zupan’s in Portland, and seven farmers markets. “Farmers markets are very successful for us. That’s where we meet our people,” says Yvonne. 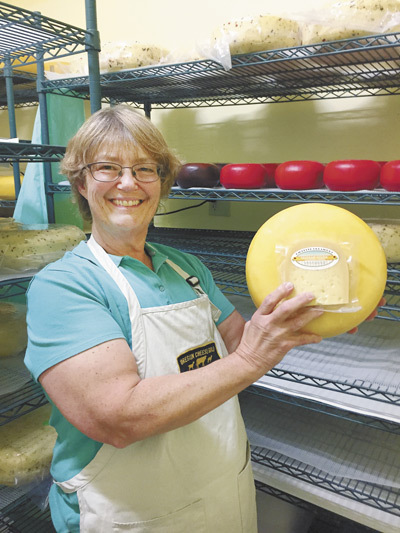 She usually makes cheese twice a week, starting with 145 gallons of raw, fresh milk that yields more than 100 pounds of cheese by the end of the day. Yvonne originally used small four- and five-pound molds, but she now works with 10- and 12-pound versions. Once the milk forms curds, it’s stirred and pressed into the molds before brining, or salting, then aging. “Raw milk cheese has to age 60 days, but it’s better if aged longer,” she says. For Umapine’s fresh cheeses, such as Queso Fresco and Botanero, she pasteurizes the milk first in a 60- to 70-pound vessel she proudly bought “for a good deal” that actually required further substantial investment, in terms of heating equipment. Her Gouda, Havarti and Jack represent styles in which the curds are washed — part of the whey is removed and replaced with hot water — making sweeter cheese. Madame Gouda, one of her most expensive selections, is aged longer and goes quickly. The farmstead cheese, which has an acid tang because it’s cooked in its own whey, was renamed “Just Cheese.” One of their farmers market customers was offered a sample taste of various cheeses. She said, “Doesn’t anyone make just cheese anymore?” That’s how it got its name. Yvonne loves to add different ingredients — herbs, spices, flavors, nuts, peppers and local Rhône-style wines — to her cheeses. Chive, dill and lavender work best in Havarti. Each batch reflects the season and the land. When the cows, mostly Jerseys, are on pasture instead of feed, there’s a difference in the taste. The handcrafted cheeses also carry the artistry of the individual cheesemaker. Umapine Creamery produces about 10,000 pounds a year, and many Walla Walla wineries purchase it for special events. Although Jeff and Andrea Adams moved to the area years ago, about four years ago they drew on their Tillamook dairy farming roots for a new adventure: cheesemaking. In fact, they entered the industry alongside Yvonne Carroll in 2014, sharing equipment and information. “In time, we outgrew each other,” says Jeff, but they still buy milk from the Carrolls’ son. While Jeff is the primary cheesemaker, Andrea is a full-time veterinarian. They took classes at both Oregon and Washington State universities to learn the art of cheesemaking. 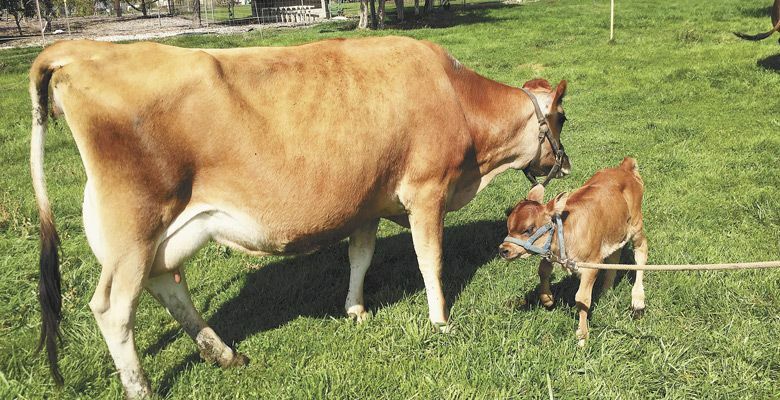 “At first, it’s overwhelming,” Andrea says, “especially the chemistry.” In addition to making cheese and doctoring animals, they raise dairy replacement heifers for 26 different customers on a property close to Hermiston. He pasteurizes most of the milk out of concern for food safety. Still, they have some excellent aged raw cheeses, including their popular aged cheddar. Andrea says, “Jeff makes cheeses that we were counseled NOT to make, such as cheese curds.” They have proved immensely popular with the local wineries as a snack item, especially during summer months on the patio. The couple welcomed visitors recently from Wisconsin who were skeptical about Walla Walla curds until they tasted them and pronounced them good. The Prodigal Son Brewery in Pendleton buys their curds and usually fries them. Halloumi, a Greek cheese that doesn’t melt, is usually grilled or fried and served with olive oil. Difficult to make since it has no culture, the curds and whey must be separated, and the whey re-heated to 185°F. Waterbrook Winery serves it with honey. “We go through 500 to 600 pounds of Halloumi in a month,” Jeff offers. Camembert remains on his to-try list. Because of the mold on the outside, it’s a style of cheese requiring a separate aging space. Belinda and Bob Smith grew up together in Hermiston. They bought their 10-acre farm outside Hermiston when they returned after his Navy years in San Diego. Since his retirement from teaching, Bob has created a new adventure: Smith’s Tiny Farm (STF) and Micro-Creamery. They jumped into cheesemaking a couple years ago after buying a Jersey cow for milk, to drink. But Jerseys produce a large quantity of milk, so they had more than enough. Why not raise even more cows and try making cheese? Carroll from Umapine Creamery volunteered to share her experience, and Belinda spent time with her learning the craft. “We tried making it in the kitchen for several months and tested it on friends. They liked it, so we started STF and Micro-Creamery,” says Belinda. The couple owns five milking Jerseys and one bull. When milking all five cows, twice daily, they yield 60 gallons of milk every three days. “That’s when we’re making cheese every Monday, Wednesday and Friday,” says Belinda. The cows pasture April to October; while the Smiths grow 80 percent of their own hay for feed during the rest of the year — the cheese’s flavor reflects the farm. The cheeses they make include cheddar, Gouda, Havarti, Swiss, Bleu and Halloumi in 10-pound rounds. “We cut these into half-pound pieces for market, re-vacuum, seal and label them,” says Bob. They sell their cheese at farmers markets, a few local retail markets, a tap house in town and Echo Ridge Winery. Right now, in their aging “cave,” which stays between 50°F and 55°F, 1,000 pounds of cheese are in process; they’ve sold as much this year. “We could probably make as much as 2,500 pounds a year. We make enough to live off,” Bob offers, contentedly.